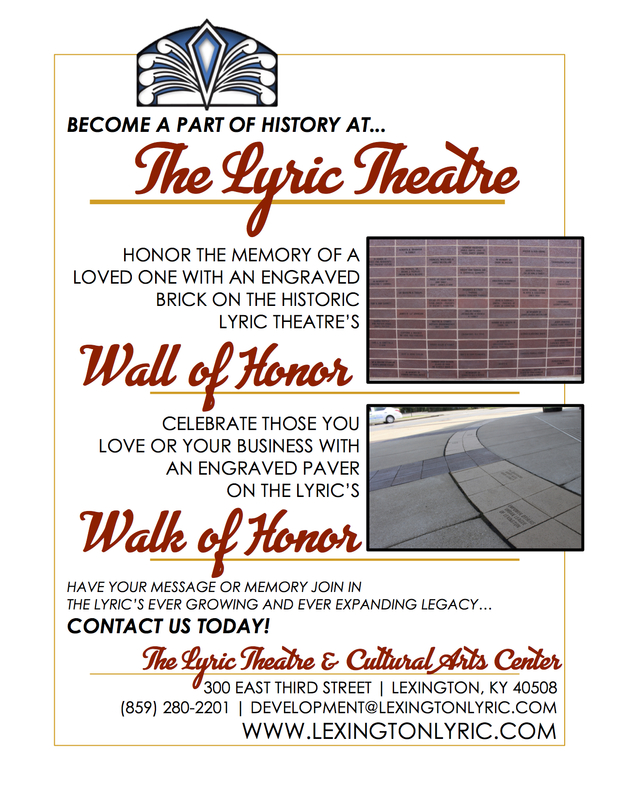 Have you, your business, a loved one, or your whole family become a part of The Lyric's storied legacy. Purchase a brick on the Wall of Honor where patrons have followed the Lyric crown to entertainment for decades. Purchase a paver on the Walk of Honor where famed musicians, actors, and dancers from all over the world have walked into our historic facility. Commemorate whatever you choose, and have your purchase go directly to funding the programs, concerts, and events that make The Lyric the institution we are today. To order your brick or paver for the Spring Season, click here. To order your brick or paver for the Summer Season, click here. To order your brick or paver for the Winter Season, click here.